The Premier Table Top Easel is built of strong aluminum to accommodate canvases up to 25" high and 1.5" thick. 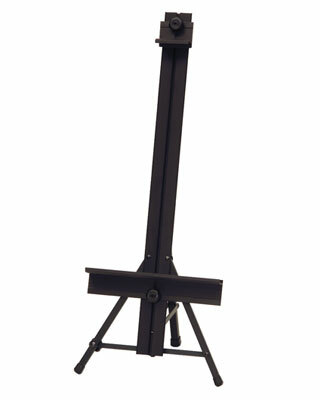 The tabletop design of this lightweight easel makes it easy to sit or stand while you work. The height and tilt adjust for user comfort. Folds for easy transportation and storage.